HONDA FIT 2015. The Japanese firm confirmed during the 2014 Detroit Auto Show, the new generation of its subcompact for the entire continent. 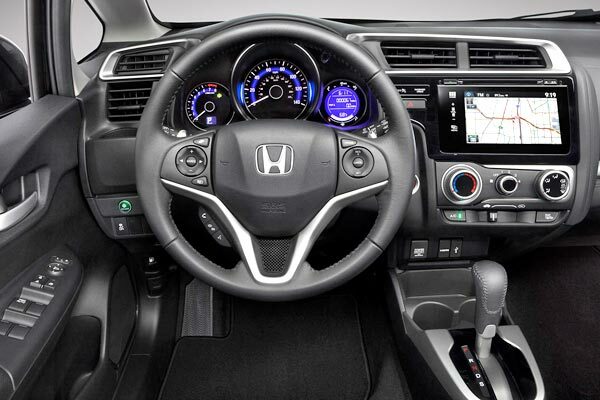 INTERIOR - HONDA FIT 2015. Although slightly shorter but with a longer wheelbase, the new Fit promises improvements in handling, maneuverability and interior space, at the same time it benefits aesthetically by having the wheels closer to the corners of the ends of the vehicle. Modern style, functionality and great fuel economy are the pillars with which the 2015 Honda Fit, wants to capture potential customers in its segment, and we have enough reasons to make this brief introduction as it is also part of our list of the best and cheapest new cars of 2014. If you want to read our 2014 Honda Fit review, please follow the link. 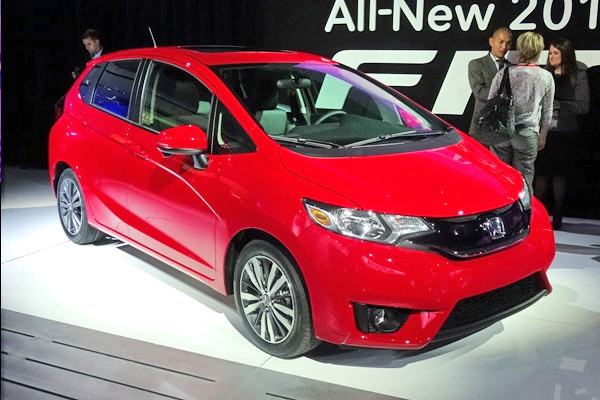 The new Fit 2015 has 16-inch wheels and headlights with LED technology as well as various elements that give it a sturdy and more aggressive look than its predecessor. The interior could not be left behind. It is remarkable the presence of cutting-edge connectivity systems as well as some other elements like a multi-angle rear view camera, sunroof, heated front seats, LaneWatch (alert lanes), infotainment touch screen unit of 7" with Bluetooth connectivity, and a special mirror that expands the driver's vision when driving. 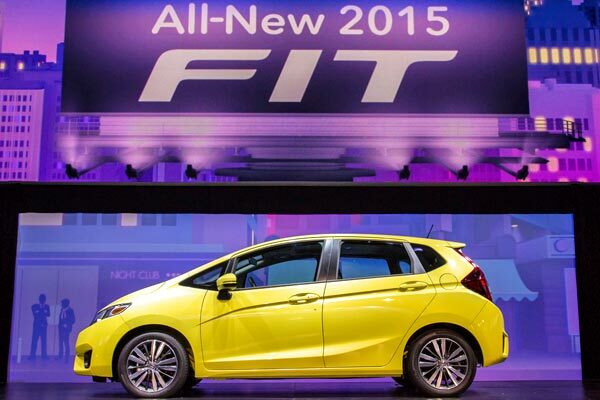 Honda will offer the new Fit 2015 in different colors to suit all tastes. "The Honda Fit is a small car with big aspirations. Faster, more fuel efficient and more fun, it's a subcompact with great capabilities," said John Mendel, executive vice president of automobile sales for American Honda Motor Co., Inc. "It simply is the best fit to date, and in our view, a new benchmark in the small car category." The engine of the 2015 Honda Fit is a 1.5 L DOHC i-VTEC of direct injection that gives it an output of 130 horsepower and offers a six-speed manual transmission and like two generations ago, returns to the CVT transmission which was lost in the current model. The new transmission will have shift paddles available. The third generation of the Fit will be manufactured in Mexico, exactly in Celaya, Guanajuato, and will reach the U.S. market in the spring of this year. 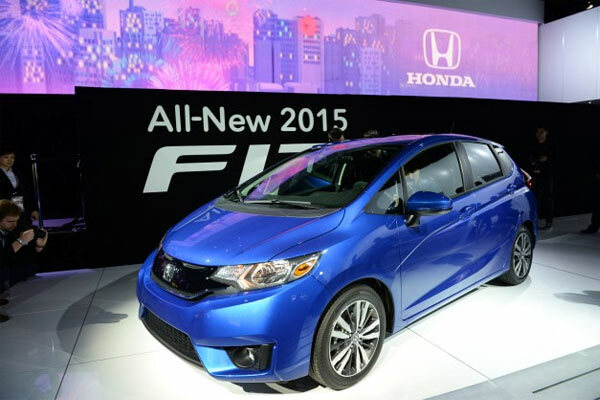 The third generation of the Honda Fit is destined to be one of the leaders in the segment of compacts for the city. The current Fit has a starting price of only $15,425. We hope that for this new 2015 model coming out soon, Honda keeps the for under $16000, or why not a cheaper price than the current one. Honda will give more technical details of this version and a hybrid model which has been mentioned a lot, since it will have a seven-speed transmission of double clutch. The drive system which offers superior acceleration is expected to have an estimated EPA fuel economy of 33 mpg / city, 41 on highway and 36 combined.